Publisher’s summary: Can there truly be love after death? 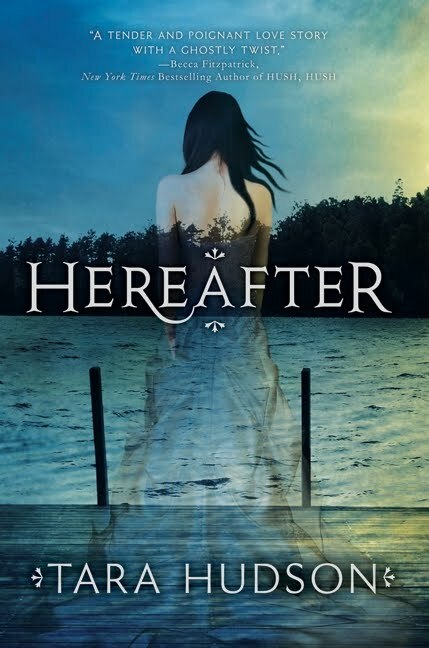 My take: Hereafter was such a refreshing, cute book to read. I was immediately intrigued the moment I picked up the book when I realized that I was reading from the point of view of a girl who is a ghost. Right from the very beginning I wanted to know who she was before she died, what the cause of her death was, why she only knows her first name and why she hasn’t ever tried to figure out her past. She only knows that she has been dead and walking the earth as a ghost for more than a few years, and every so often she falls asleep, has a nightmare about her horrific death, and then wakes in a cemetery. At first, Amelia’s afterlife seems very boring, but pretty quickly it becomes not so boring when she meets two important characters. One is a human boy (Joshua) who is able to actually see her after he survives a horrific accident that almost takes his life, and the other is another ghost, Eli. Amelia immediately becomes pretty obsessed with Joshua; she is fascinated that a human boy can actually see her. I, myself, was more intrigued by Eli than the other characters in Hereafter, and I wish we saw a lot more of him in this book. The romance that develops in this book is really sweet but, as you might expect in a ghost story, there are a lot of complications in multiple different directions, which become even more difficult and complicated when a lot of things start to go majorly wrong near the end of the book. But I loved how the story ended and I was determined to see where the story would continue, so I immediately picked up and started reading Arise, the next book in this intriguing series. I really like the cover. Sounds like an interesting read. If you picked up Arise right after, must be worth checking out. Thanks for the review! I actually really liked the ghost/human love story-it's not something I ever thought I'd root for but it won me over. I definitely need to pick up Arise soon! I have owned this books since it came out and haven't had the chance to read it yet. I will for sure read the series when all the books are out.